It may be all fun and games for you and me when executives start talking crazy, but it can trigger plenty of sweaty collars in the boardroom. 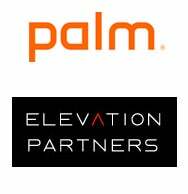 Last week, Elevation Partners co-founder Roger McNamee—whose company is one of Palm’s premiere investors—told Bloomberg that early adopters would flock to Palm’s forthcoming Pre smartphone like pretentious hipsters to a Vampire Weekend concert. On Monday, Palm and Elevation issued a “Free Writing Prospectus”—read: press release—to correct and clarify (a close cousin to “dodge and deflect”) McNamee’s statements. The document was accompanied by an MP3 audio file featuring the sound of someone furiously pedaling backwards. With respect to the statements in the tenth paragraph of the transcript that the Palm Pre is “going to be a million times - well, not a million times - several times faster” than Apple, Inc.’s iPhone products and is “going to run rings around them on the web,” the Palm Pre is still under development and it is premature to state the speed at which the device accesses the web or the relative speed of the Palm Pre compared to the smartphone products of competitors. Translation: “Wait, what did he say?” The Pre's still in development, so any sort of speed comparison is laughable at best. Maybe the Pre is fast, and maybe it'll be that fast when it ships—but maybe it won't. To be fair, though, some speculate McNamee was referring to the previously unseen feature of the Palm Pre that allows it to act like a remote control car—it can literally run rings around the iPhone. The statement in the second paragraph of the article that “not one” person who bought an Apple, Inc. iPhone on the first shipment date “will still be using an iPhone a month” after the two-year anniversary of that day is an exaggerated prediction of consumer behavior pattern and is withdrawn. Translation: Roger McNamee’s not going to be giving any more interviews about the Pre—well, not without a couple of Palm security guys armed with tranquilizer darts. Palm needs the Pre to succeed in order to stay afloat, and the last thing they want is somebody declaring it unsinkable—and then having it careen headlong into an iceberg. The safest thing for them to do right now is to dial down expectations and then overdeliver when the Pre gets released—of course that’s easier said than done. Gee, this is fun. Microsoft should start issuing these every time Steve Ballmer gives an interview. Heck, they should probably issue them preemptively.